This delicious Low Carb, High Fat continental cheesecake is simple to make and will impress your non-LCHF friends too! Preheat oven to 180°C. Combine dry ingredients in a large mixing bowl. Stir through melted butter and egg til the mix resembles wet cookie crumbs. Press evenly into a lined 27cm/11" spring form cake tin. Bake for around 20mins or until golden brown. Remove from oven and allow to cool. In an electric mixer, whip the cream til it's light & thick then set aside. Next whip/beat the cream cheese, xylitol and vanilla til well combined and fluffy. Add the cream to the cream cheese & gelatine then mix on high til it's well combined. Remove half of the filling to a bowl and set aside. To the remaining half add the Strawberry extract and pink colouring. Mix to combine. 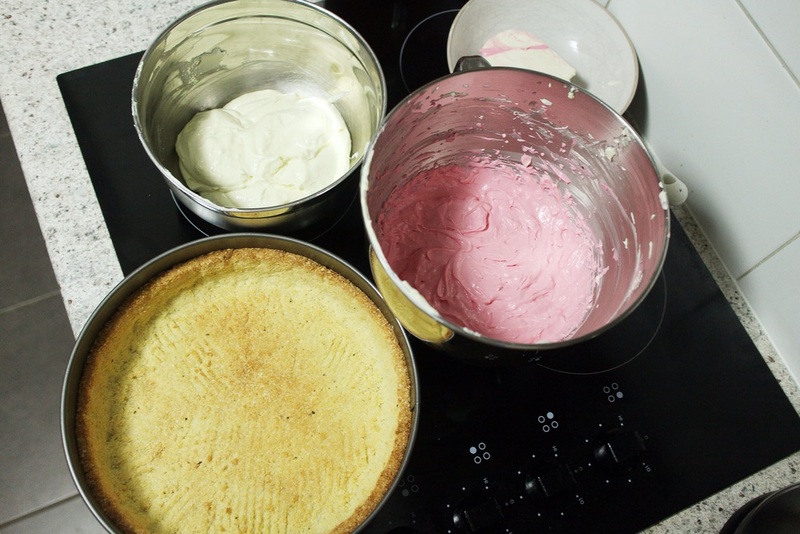 Fill your crust with the strawberry cream mix first and smooth flat then add your vanilla cream layer and smooth again. Cover in cling wrap and refrigerate for an hour to begin setting. 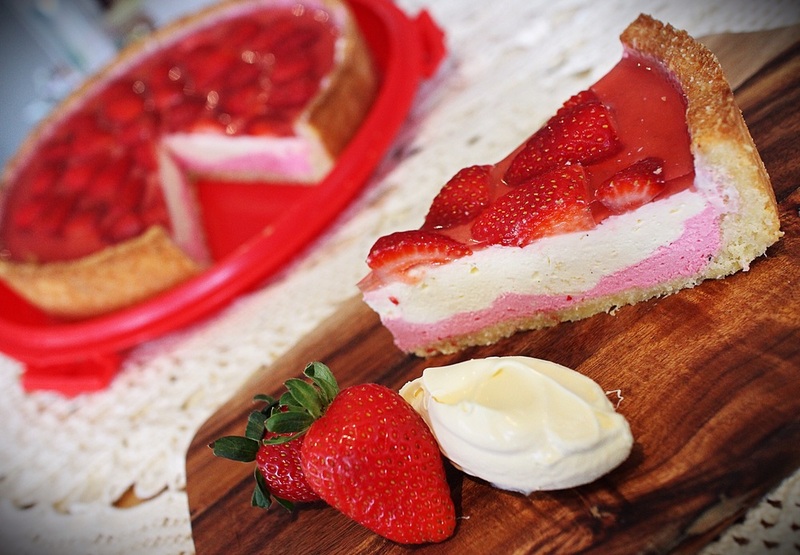 Slice most of the strawberries in half and arrange as desired on top the cheesecake. Dice a few remaining strawberries and place in a small saucepan with the boiling water and simmer for 5mins. Strain the strawberry liquid discarding the pulp and add gelatine powder. Stir to dissolve. Spoon all the jelly mix over the cheesecake coating each strawberry slice as you do. Place in fridge overnight to set then serve with a generous helping of double cream.